The Pedrini Wine and Bar Deluxe Corkscrew is an essential tool for any home bar or kitchen. 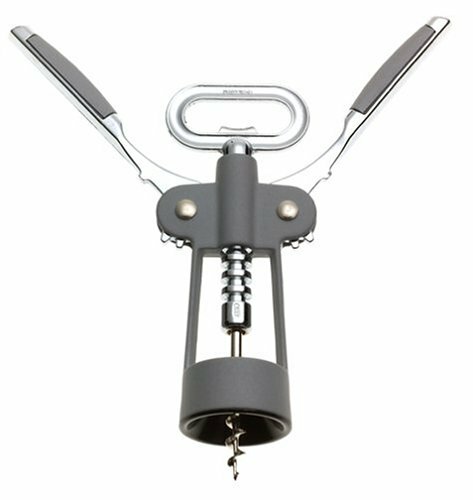 This corkscrew features dual levers with tight tension for efficient leverage when removing corks. 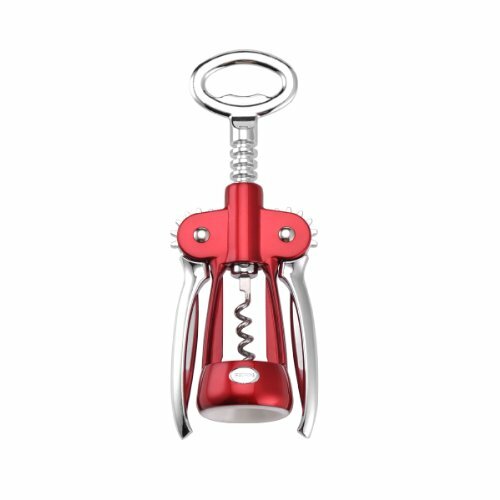 The corkscrew is constructed of zinc alloy with chrome plating. 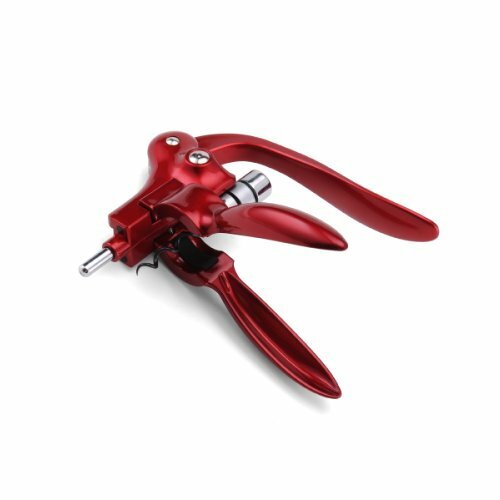 The corkscrew boasts a sleek metallic red finish. The corkscrew's wide protector ring ensures a proper fit on the mouth of the bottle. 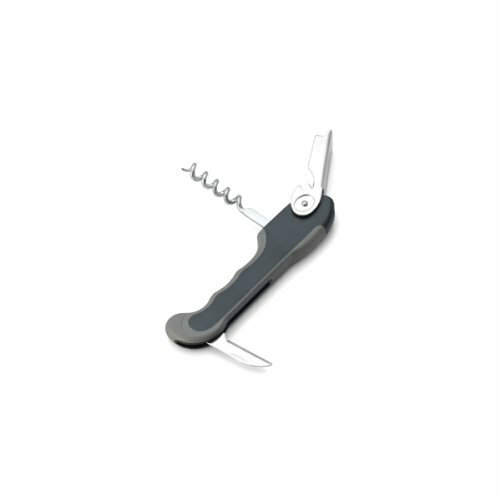 The corkscrew features a bottle cap opener in the handle. Corks will lift out quickly and easily with the help of this Pedrini Winged Corkscrew. Features double levers that have tight tension for good leverage, a professional spiral worm and a cap lifter in the handle. A great item for any home bar! Dishwasher safe. 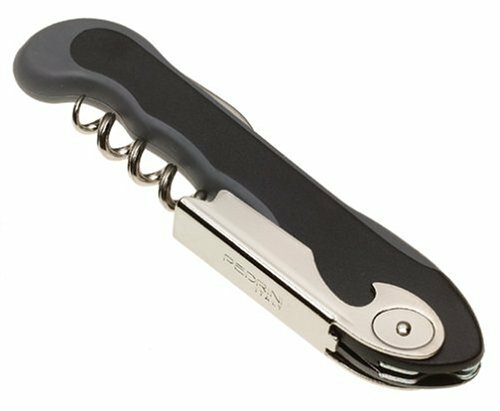 Easily open your wine bottles with this Pedrini Wine Bar Waiters Corkscrew. Will open any size wine bottle and includes a knife for cutting foil. 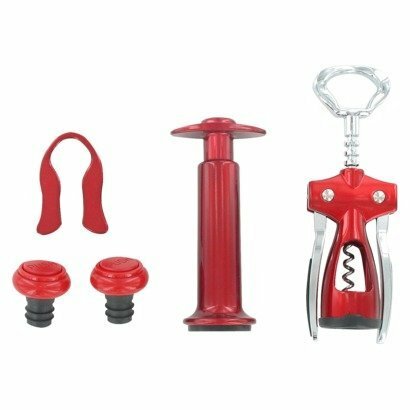 The soft grip provides comfort and confidence when removing the cork from you favorite bottle of wine. Features a compact, fold-out design and is constructed of stainless steel and black plastic. Dishwasher safe. Approximately 9 inch long when extended. This Pedrini Wine & Bar Red Lever-Action Corkscrew uncorks any wine bottle with one pull. It features comfortable, ergonomic handles and is compatible with wine bottles of all sizes. Hand-wash with warm water and a mild detergent; rinse and dry immediately. This Pedrini Wine and Bar Lever-Action Corkscrew is an essential tool for any home bar or kitchen. This lever-action corkscrew removes corks in one easy motion. The corkscrew is designed to fit wine bottles of all sizes. 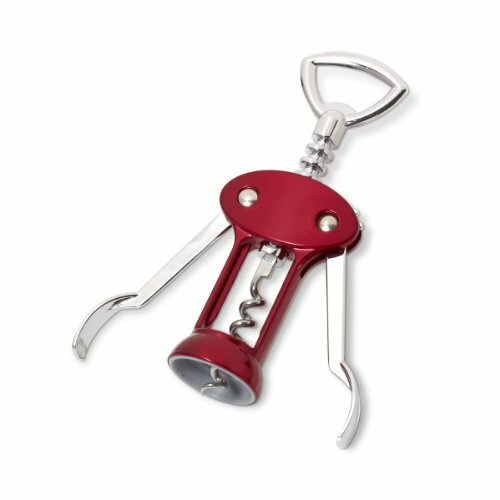 This corkscrew is constructed of durable, rust-resistant stainless steel. This corkscrew measures 10-1/4 inches in length. This product is completely dishwasher safe for easy cleanup. 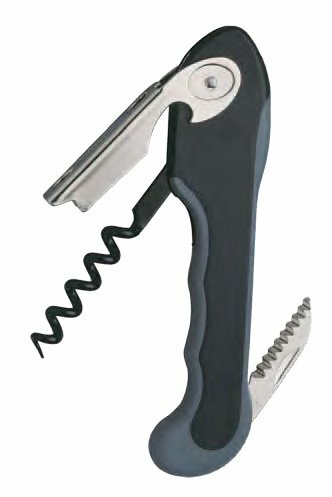 Compare prices on Pedrini Corkscrew at LiveSaler.com – use promo codes and coupons for best offers and deals. We work hard to get you amazing deals and collect all avail hot offers online and represent it in one place for the customers. Now our visitors can leverage benefits of big brands and heavy discounts available for that day and for famous brands. We try to makes comparison shopping easy with Product Reviews, Merchant Ratings, Deal Alerts & Coupons. Find Deals, Compare Prices, Read Reviews & Save Money.